It is an open-source system which allows businessmen to open up shop online, and manage all the contents of their business. Here are some of the most sought after fashion VirtueMart templates.You may also check Fashion Magento Themes. You are getting a truly elegant fashion store theme here which opens up with big banner to advertise the best products from the store. The homepage also include sections on discount offers, major product categories etc. This online fashion store theme looks organized and enables you to include a great deal of sections right on the homepage- such as product categories, latest products, search bar, manufacturers and so on. This fully responsive fashion theme comes up with an elegant appeal and would be really fitting for your happening fashion store. The homepage would enable you to showcase your latest products. You are getting a peppy and colorful fashion store template here that opens up with huge banners flaunting special discounts. The homepage also includes sections for new arrivals. It would be good for fashion stores with both men & women collections. The coral accents against a white backdrop have created a classy outlook. It’s a neat and clean site with banners for latest collections, discount offers and featured products. The homepage comes with popular social media buttons. This svelte fashion template would be great for your handbag store online. The homepage features big banners to display latest products and there is even section for featured products & manufacturers. It is a luxury responsive template. It is designed using bright and shiny background. The template can be modified to draw the customers attention. This template can be used for various companies like for products of shoes, clothes, watches, etc. Photos and videos can also be imposed in the template. 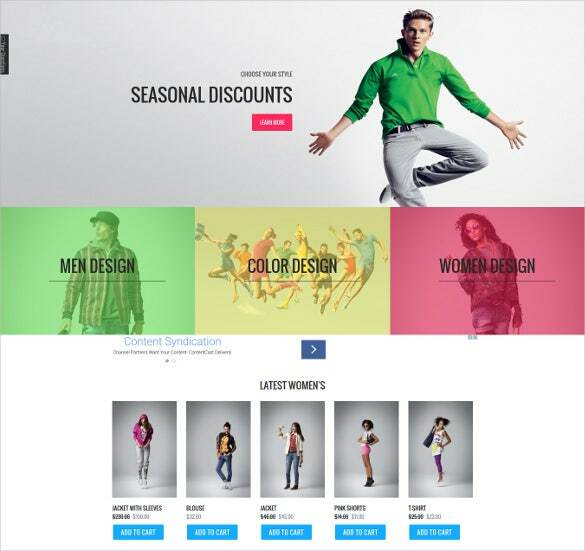 The VirtueMart template has all the features of a fashion store. It has many columns for the menu. The front page is designed with various effects. The template also has a banner column which is assigned for advertisement. The latest products and their details are displayed on the front page. It is often said that plus-size women are not beautiful. This is totally void. Designing the template with black and white and the fields with pink will attract female shoppers. The users will be amazed to see how easy it is to find clothes by its navigation bar. Each part of the theme is made exclusively keep in mind of the user. 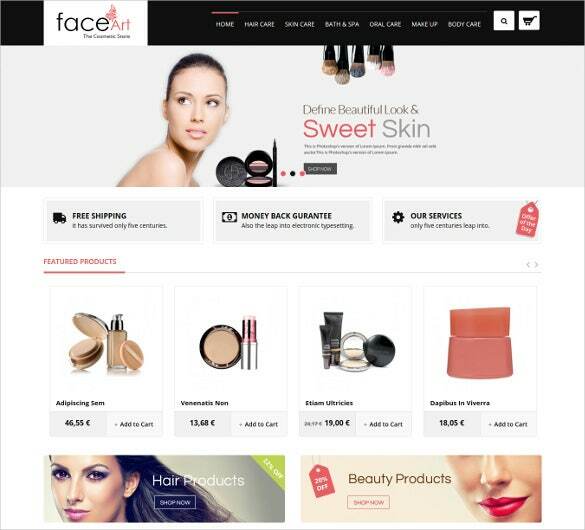 The VirtueMart Theme can be used for cosmetics, fashion stores. This theme is designed using various colors. It has a clean ad sharp look. 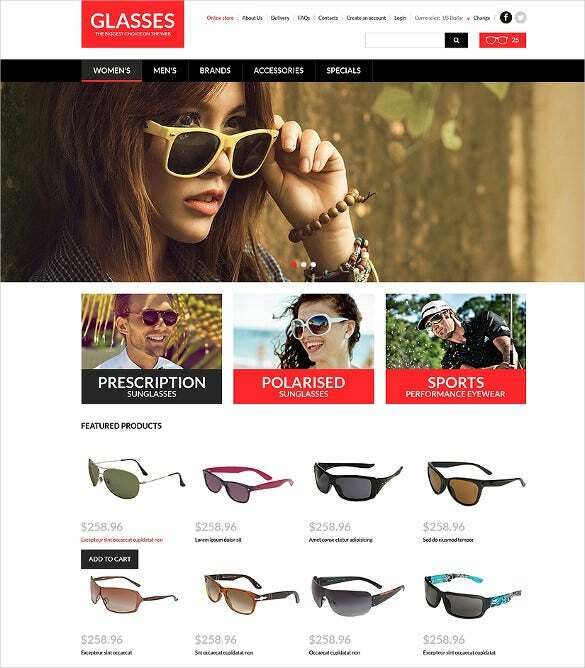 This template is useful for websites that promote young models with modern clothes and fashionable glasses. This template is incorporated with numerous features, it can also be used for various uses. This template can also customize to grab customers attention. This template is designed in such a way that looks bright and pleasant as a sunny day. It is designed according to the latest web standards. The template is designed using red color. The Add to cart key is red in color which evokes buying activity. In the header and footer sections, navigation is fixed. 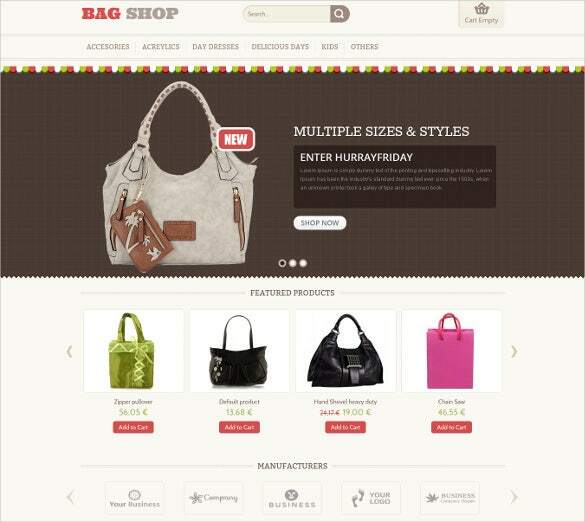 This theme can be used for digital store, gift store, fashion store or the kids clothes store. We have incorporated 4 Home Layouts in this template to give the best selections in customization. You can fuse between all home page layouts to get the different layout for your own website. 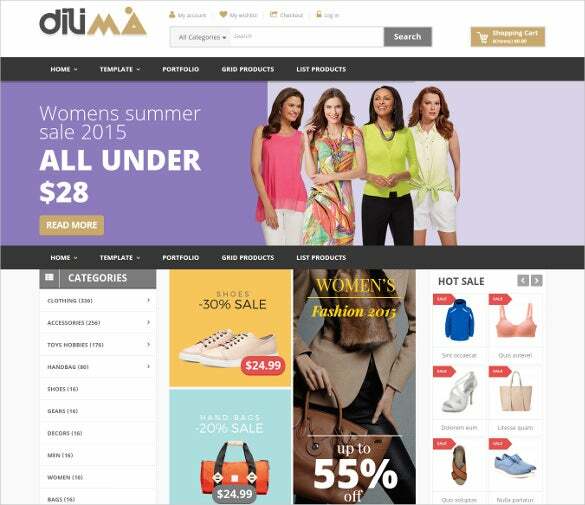 This is an active clothing store VirtueMart Template which upgraded for desktops, mobile phones, tablets. It is designed especially for fashion and beauty e-commerce projects. It can also be used for other purposes as well. The theme can be personalized to beautify your business. 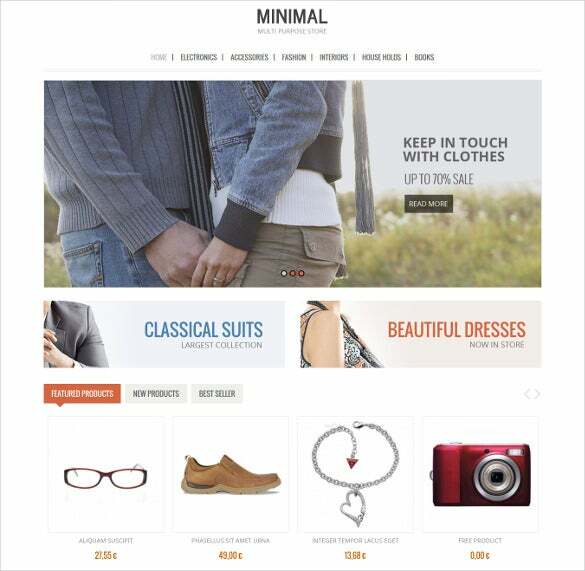 The minimal VirtueMart Template can be used by fashion designer, electronics store as the multipurpose store. It is designed with the great blend of colors. The template has a clean and sharp look. All the pages are customized. For the creation of the finished image, handbags are very important accessories. They should look classy and must mix with your dress. Females wish to have many handbags because one handbag will not match all the outfits. This template is designed with the neutral color so that it does not disturb the buyers from the displayed products. This template is designed in black and white. It can be used for online fashion store as well as it can help you to develop your clothing business. This template is also set up with the real Joomla custom blog. There is no need to set up 3rd party solution. Fancy Shop VirtueMart Theme can be used for jewelry, apparel, and clothes store. This theme can be customized according to one’s needs and requirement. This template displays the latest collection and has a unique feature i.e., image based navigation. The banners have floated over effect and work as the visual navigation. Products are displayed in 5 columns. The template is designed in a way to attract customers’ attention. 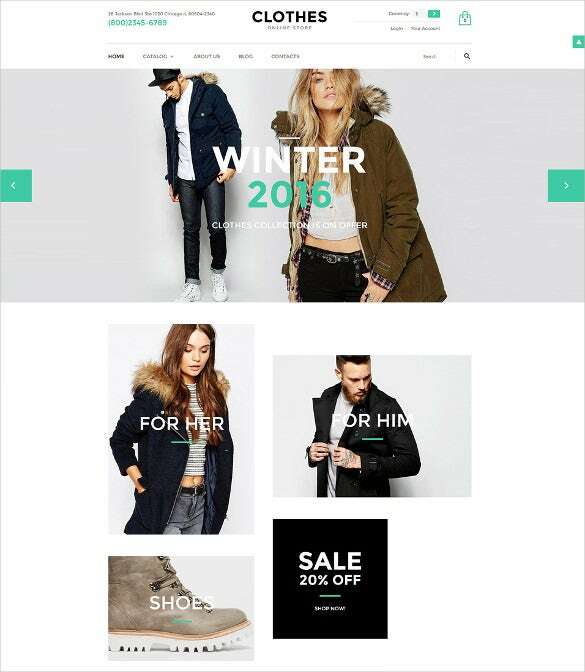 This VirtueMart template is designed exclusively for winter fashion clothes store. Its home page is different from other templates. The position, banners are designed and organized exclusively by the experts. 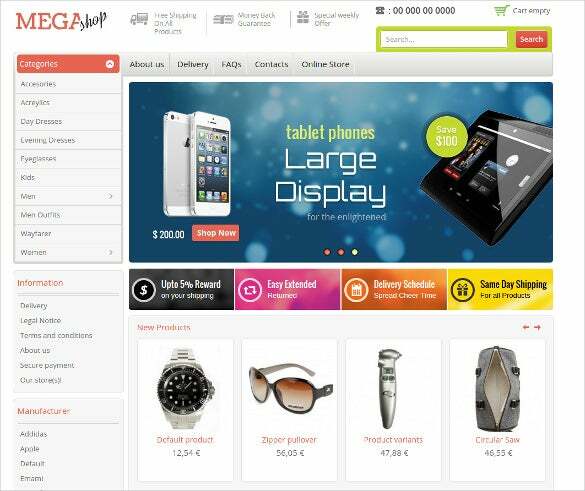 VirtueMart templates are designed especially for e-commerce projects. It is a free open source e-commerce extension of content management system. The templates are designed by experts to grab customers’ attention. It is personalized in a way which enables the customers to view products easily.